Real Madrid are reportedly looking to raise as much as €400million in the transfer market this summer by offloading Gareth Bale, Isco and other big names. 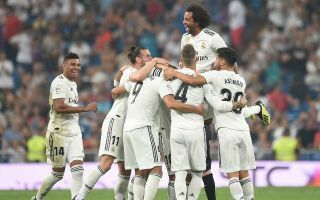 The Spanish giants look in need of a major rebuilding job this summer after a difficult season, in which Zinedine Zidane has returned to the job just ten months after stepping down at the end of last season. According to Don Balon, Real Madrid will look to add to their transfer kitty by selling Bale, Isco, Toni Kroos, Marco Asensio and Keylor Navas. Bale has been linked with Manchester United in another recent Don Balon piece, and it’s now stated he’d have an asking price of around €110m. Meanwhile, Asensio has also been linked with United, as well as with Liverpool, in another recent Don Balon report suggesting the Spain international would likely make way if Eden Hazard moved to the Bernabeu from Chelsea. Attacking players like Bale or Asensio would be fine signings for the Red Devils at the moment due to their need for an upgrade on Alexis Sanchez, while Liverpool also look in need of more options after the likes of Mohamed Salah and Roberto Firmino have gone slightly off the boil this season. Navas, meanwhile, could go for €30m, with Don Balon recently linking him with Arsenal, who could perhaps justifiably want more options in goal ahead of Petr Cech’s retirement this summer. All in all, the news of this Real Madrid clear out could end up being great for Premier League clubs this summer.